Adapted from the computer-animated video, Platonic Solid Rock, The Platonic Solids Book combines beautiful 3-D computer graphics with an insightful and entertaining journey through the mathematics and recreations of polyhedra. Paper templates and detailed instructions guide the reader through the construction of the Platonic solids, the compounds of the Platonic solids, and an origami star polyhedron. The reader is led through an exploration of the philosophical nature of mathematics in the contexts of polyhedra. Chapters end with guiding questions for the reader to ponder. Finally, an appendix contains six lesson plans that can be adapted to teach students from elementary school through college. The Platonic Solids Book is an excellent textbook, reference book, teacher's resource, and recreational reading for the amateur or seasoned geometer. 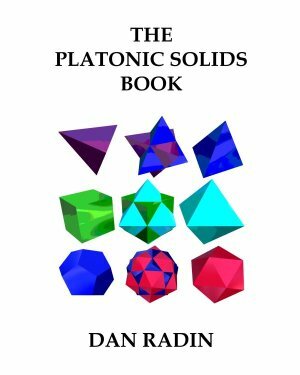 Click here to see a low-resolution preview of The Platonic Solids Book! Click here to get your own copy of The Platonic Solids Book! Click here for the Kindle version of The Platonic Solids Book!